Social media that has taken the world by storm feeds into the discovery of new content (viz. news stories) and ‘discovery’ by all means is a search activity. Besides facilitating searches at social media sites to find social media content, it also helps build links that subsequently support SEO efforts. When it comes to improving website traffic, social media networks has emerged as the most in-demand marketing tool, almost treading past traditional favorite – the search engines. Even though SEO is still prevalent and thriving, it has become more social now; however social networks manage to top the list of site referrals. Communication is an integral part of business, and social media proves to be an effective tool as it has evolved as one of the best user-friendly tools allowing brands and the customer to interact easily and quickly – helping conversions. 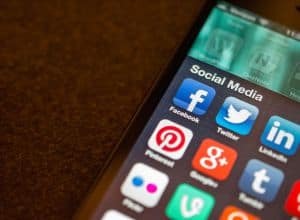 With social media promoting unique profile, it is an added advantage for businesses as they can now give brands a personality on social networks. So, the visual presentation of the profile page and how they interact on the social network comprehends the general characteristics of the brand and can be utilized strategically for marketing. The Mobile devices has been one of the major podiums manifesting social activity; therefore it is very important that you plan your social media strategy accordingly so that it can help best to improve your brand identity and promote your business. Start small and connect well is the mantra for social media success. It is suggested that you do not spread out too thinly on the social media network by joining too many groups, and not being able to monitor or contribute to them well. If you have created your Company page on Facebook, then it is inevitable that you keep adding small information regularly onto the page about your product or/and services, so as to keep them engaged and inspire them to keep coming for more. It is important to invest proper time and be creative while dealing with your social media campaigns. Take care that your posts are not boring or too ‘preachy’. Remember once you manage to build a social media reputation of being an expert in a certain field, your fans will stick to you throughout. Social media conversation clicks when ‘you listen, and then speak’. Because listening to your followers and showing interest in what they have to say is a great way to initiate engagement and encourage conversation. Even maintaining your company brand page in a social networking site like Twitter and Facebook or LinkedIn requires a lot of flair, patience and ability to take things with a pinch of salt as you answer to comments and uncomfortable questions. Remember, people do not have the time to read ‘craps’ that make no sense to them. So, instead of focusing on ‘quantity’ like posting ‘n’ number of posts on Facebook and Twitter in an hour, it is important that you offer your followers what they expect from your page. It is important to keep the momentum going in a social media campaign as people tend to lose attention soon. So keep spicing up information and keep your followers engaged so they keep coming back for fresh updates. Just as the saying goes that ‘a picture paints a thousand words’ it is important to use multimedia effectively in social media campaigns – post more images and videos as it helps to keep your social media fans and followers engaged and interested to keep coming back for more. Make your social media followers and fans feel special by performing a follow-up. Just a simple re-tweet or acknowledgement to their comments with a small reply to their post will inspire them to be more active on your network and even invite their connections to join your network. Always remember to imbibe a professional attitude in your social media dealing, because social media being open and impulsive in nature, calls for you to present yourself in a composed and professional way, worthy or reflecting your company’s or business ethics and culture. Social media is all about building relationships and making adjustments to keep your followers engaged (in this highly distractive medium), and ensuring that the entire process is enjoyable and purposeful while staying focussed on improving business. What is your social media strategy? Do write to us. Author Bio: Daniel is a digital marketing strategist associated with VITEB, a web design in India that provides complete IT solutions. He loves to share his knowledge and experience through writing articles on various online marketing related subjects. You can follow him on Facebook. Social media can be a really powerful tool in driving traffic to your site if used properly. I’m thinking of revising some of my Social Media strategy after reading your posts. Thanks a lot!